As we well know, it's only left a few months to summer and it's time to prepare our skin for the bikini season. Smooth skin without cellulite, how to achieve it? Today I will present you some effective and natural methods in the battle of beautiful skin. Drink a lot of water to hydrate your body and flush out toxins. Eight to ten glasses a day are recommended. When you consider cellulite is basically fat then naturally, fat-burning exercises will help. Exercise also gets rid of toxins through your skin, which in turn helps reduce cellulite and defines your muscles to make you appear more toned. Any exercises that focus on problem areas like your hamstrings and glutes are good for targeting persistent cellulite. Special "cellulite diets" have been proposed that claim to be effective in treating cellulite. Proponents of these diets claim that the combination of foods in the diet can reduce inflammation and improve circulation in affected areas and diminish cellulite. However, no studies published in the medical literature have supported these claims. Experts have conclude that eating a healthy diet can decrease fluid retention and improve the overall health and appearance of skin, but specific diets designed to target cellulite are of no value. Most anti-cellulite creams have caffeine, which dehydrates the skin. This tightens and firms the skin for a temporary improvement in appearance. Proper circulation helps to prevent and eliminate cellulite. Avoid wearing clothes with tight elastic bands that may restrict blood flow to hips, thighs, and other areas prone to cellulite. Also, if you experience a lot of soreness during physical activities, tight muscles may also be restricting blood flow. Anti-cellulite massage is a modern form of massage with the help of the Chinese bubble, based on the classical method, which aims to effectively eliminate cellulite, The orange peel that appears in overweight and obese people is about 30 years old. This inconspicuous rubber bubble is a well-known accessory that has been rediscovered for centuries, thanks to the knowledge and skill of the masseuse, the body gains youthfulness and the skin regains its original vitality and velvety smoothness. Because of its specificity, it is not recommended for people with haematological disorders, pregnant or dilated blood vessels (spider veins). Add freshly squeezed lemon juice. 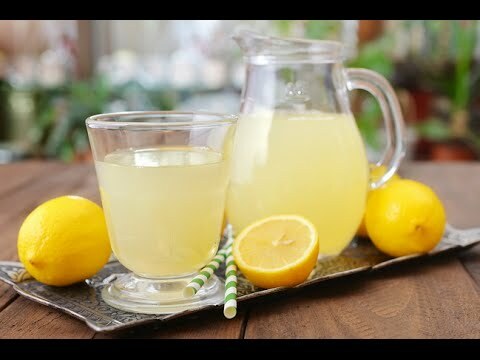 Lemon juice helps you eliminate more toxins on a daily basis and is better to boot! Dry-brushing is one of those things that when you hear about you just roll your eyes and go about your business. But let’s look at the logic. Cellulite is from poor blood circulation. That much we know now. One of the best ways to get blood to a certain location of your body is by causing friction. Therefore, brushing certain areas of your skin will cause more blood to circulate to that spot. Just use a nice dry brush and you are good to go. If you really want to become one with the Earth and treat yourself, throw in a coffee scrub as well. This is similar to a massage but you get to do the work yourself. Coffee scrubs can be beneficial in reducing cellulite as well. The massage and exfoliation benefits skin by stimulating blood/lymph flow and the caffeine in the coffee has a tightening effect. Most options are based on the idea that massaging the problem area will increase blood flow and reduce fluid buildup. The result: Better-looking hips and buttocks. Do you use practice any of these methods? Maybe you have some other natural ways for beautiful skin?